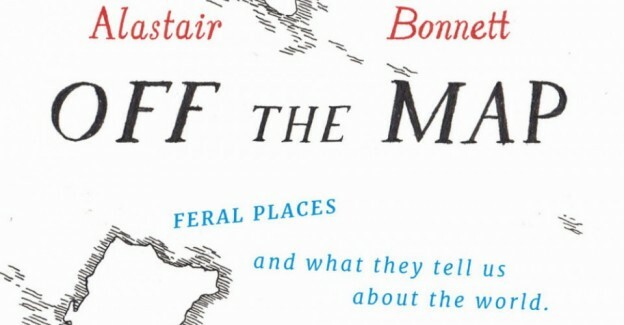 RB: Your book, Off the Map, explores uncharted, forgotten and lost places. Do you have a favourite forgotten or lost place? AB: I like those places that are hidden and enthralling but also just under our noses. I’m not sure it’s a favourite but I went down into the tunnels under my neighbourhood with the urban explorer Bradley Garrett not long ago and it was really exciting to be almost under my own house yet in a huge cavernous tunnel, once used by people to shelter from WW2 air raids. They have since been made even more inaccessible but there’s a thrill of transgression in local exploration that can’t be bettered. 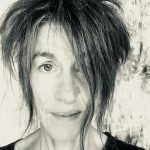 RB: Topophilia, defined as ‘the love of place’, is a term that has been used from writers such as the poet John Betjeman, the philosopher Georges Bachelard and the geographer Yi-Fu Tuan. It is a term you also encourage (and celebrate) in Off the Map. Do you think that topophilia is biological, that it is something fundamental about what it is to be human? AB: The idea that love of place is a fundamental human needs is something I continue to push. Indeed, I’d like the UN Declaration of Human Rights to include the right to place as a human right. When places merge into a generic landscape there is a fundamental disorientation: people find they can’t care or involve themselves in place anymore and turn in on themselves. So there is a psychological and social cost. RB: Where do you root your love of place? AB: It does come back to the unnerving experience of feeling places were disappearing before my eyes; which I think a lot of people growing up over the past sixty years have had. It’s not just nostalgia or make-believe: the pace of change has been so rapid that it has upset our sense of place and we find ourselves searching it out in other ways. It’s fascinating that people with very little attachment to their street or neighbourhood will fly across the world in order to experience authentic unspoilt places and have their homes decorated with photos of far-flung destinations – we have turned place into an ‘experience’ to be bought and sold ; something time-limited and exotic. RB: Your sequel to Off the Map, to be published later this year, is titled Beyond the Map: Unruly enclaves, ghostly places, emerging lands and our search for new utopias. It promises to ‘challenge the very concept of place’. Can you say more about this? AB: The new book looks at the fragmentation of modern geography – the way borders are spinning apart and new localisms are springing up. It’s a disorienting time. The geography of the Middle East is the most obvious example: the old certainties have gone. There are plenty of fun destinations in the new book – the love of place is at the heart of it but it is set in the context of a new sense of unease and disorientation. And Britain is also now at the centre of this new spirit of fragmentation: will there still be a Britain in a decade’s time? Brexit is another factor that is muddling up our geographical expectations. RB: You also have another book being published later this year, titled New Views: The World Mapped Like Never Before. How is the world being re-visualised? AB: The generation of so much data today means that we can map so many more things in much more detail. The new books takes the hard work of people who have collected all this data and distils it into fifty maps. There are maps on ants and edible insects as well as migrants and asteroid strikes. These are all world maps, they give a real quick-glance sense of an issue at the biggest scale. RB: Italo Calvino’s Invisible Cities explores the imagination and imaginable cities. Has this book been an influence on you? AB: Invisible Cities has such a special atmosphere. Calvino’s places were fictions and mine are all real but I try and stay true to his sense of places as stories. The need for strange and disconcerting places is captured by Calvino with such a light touch. I’m more prosaic but I also take from him the idea that less is more; short, terse portraits of a place can capture more than heavy and would-be comprehensive treatise. RB: You have stated that your objective is to “re-enchant geography”. What do you mean by this and how do you hope to achieve it? AB: I’ve been questioning myself on this. I used to always say my aim was to re-enchant geography; to make it magical again in the wake of the homogenisation of place. I think that’s still very important and I love the idea of enchanted places. However, the fragmentation of geography is not predictable. Lots of tiny enclaves and new islands have sprung up around the world – from Syria to the South China Sea – and few of them are enchanting, though they are certainly strange. So yes to re-enchantment but as long as we recognise that not all of the world’s unruly places are equally enchanting. RB: Do you think there are hidden places off the map that are yet to be found? AB: So many; there are hordes of them just round the corner; a walk away from any one’s front door. And Beyond the Map has plenty of surprises; hundreds of new islands and hidden places. Even the map itself can obscure as much as it reveals, which is why I have a chapter on false entries on maps, called Trap Streets.